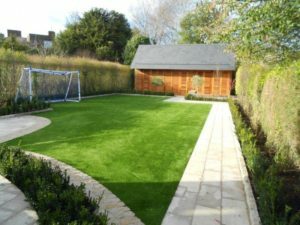 Pride Artificial Grass offer a range of high-quality grasses that have especially been designed for landscaping and other private uses. Artificial grass of today looks real! An artificial lawn is a safe investment for years. Besides this, it has many benefits. An artificial lawn is easy to clean, requires little care and can be installed anywhere. 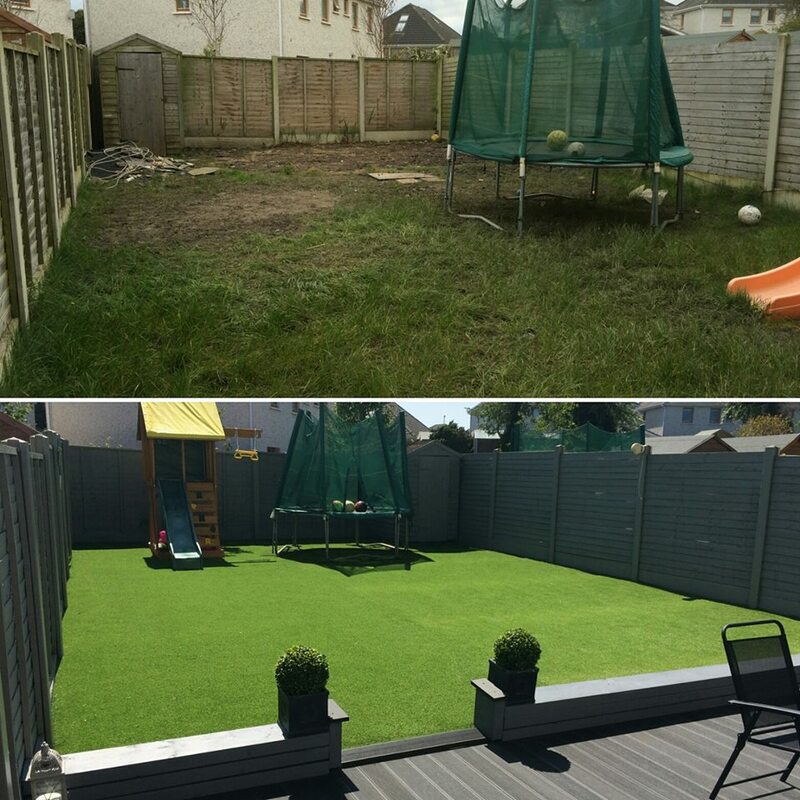 Artificial Grass comes with a 10 year warranty on UV stability, depending on the UV strength in your location. Maximum enjoyment, low maintenance. Normal grass will grows when regularly watered. But three weeks of drought will wither the grass, whereas three weeks of rain will make it grow through the roof! 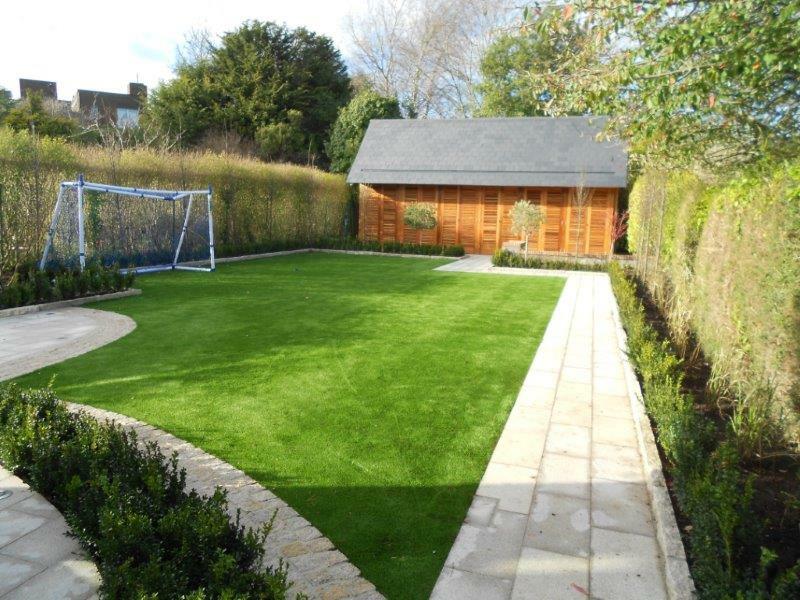 Artificial grass for lawns doesn’t grow, no matter what the weather conditions are. It will not drown or get sunburnt: your backyard will always look nice and neat. The same goes for weeds, twigs and leaves which can ruin your garden. Not with our artificial lawns, which can be easily swept without destroying the structure of the grass. Our grass is top quality grass. It is made of high-quality Ten Cate grass fibres and retains its lovely green colour, year after year. 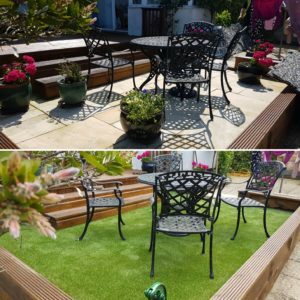 Because of your confidence in our high-quality product, we give an 8 to 10 year warranty on our artificial lawns, depending on the UV strength in your location. Our team of installers has remained unchanged for over 20 years, giving our customers confidence that our expertise in the field of laying this type of surface is second to none.